Every boat operator and owner needs boat insurance as a way to protect the vessel and passengers against a sudden accident, loading dock mishap, liability or on the water scenario. All water-bound vehicles should be covered with boat insurance to provide protection of the vessel, its owner and passengers along with any kind of loss. 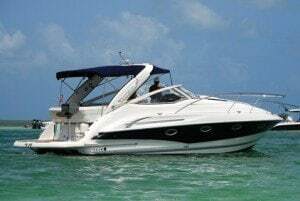 Water vessel insurance policies usually cover a variety of motorized boats and other water vehicles such as yachts, jet skis and fishing boats. Boat owners and operators can purchase agreed value insurance policies, or coverage based on actual cash value. The difference is typically how depreciation of the vessel is handled. “Agreed Value” policies provide coverage based on the value of the vessel at the time the policy was written. Typically, these types of policies have a higher upfront cost, because there is usually no depreciation on the value of the vessel over time, as a term of the policy. Alternatively, an “Actual Cash Value” has a lower upfront cost because depreciation is factored into the policy. As a result, when damages occur, the insurance company will typically pay up to an amount equal to the vessel’s actual cash value when a partial loss or total loss is declared. How and where the boat is used will usually determine the best type of insurance the vessel requires. Many insurance companies offer “All Risk” coverage to provide the best insurance protection for the operator, passengers, boat and other vessels. However, there are still exclusions in all risk policies that often include damage by animals, denting, marring, wear and tear, in any defect in design, along with freezing and ice. It is essential to maintain appropriate protection insurance on every water vessel. Boat insurance companies offer a variety of policies to meet the needs of every operator/owner of motorized watercraft. In addition to primary liability coverage which may cover a majority of mishaps and accidents involving personal injuries related to a boat accident, many boat owners are also covered under a more comprehensive ‘umbrella policy’. Depending how the policy was written and the carrier, an umbrella policy would be extended to cover incidents after the primary coverage has been exhausted. For example, in the context of a boater striking and seriously injuring a swimmer in the water, a umbrella policy could be utilized if the swimmers injuries were extensive or resulted in a fatality. For any person seriously injured in an Illinois boating accident, some investigation and confirmation of umbrella coverage is an important component in resolving a claim with the boat owner’s insurance carrier.